The first sign that the gas flame has been extinguished is finding an absence of hot water at the hot water tap. This will require the homeowner to visit the location of the hot water heater, remove the flame guard and make a visual check to see if the pilot light is burning. If there is no flame, the homeowner can reignite the pilot light by following simple safety and reignition procedures at which time the water heater can begin heating water for the home. 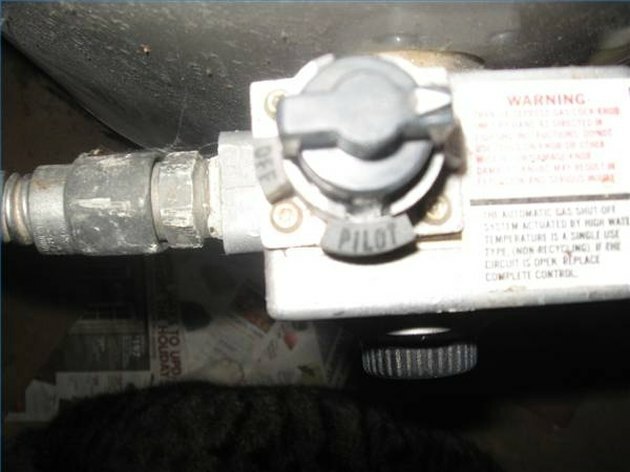 Locate dial on front bottom side of the water heater and turn the dial clockwise to the "Off" position. Wait 5-7 minutes for gas to clear from the system. If a gas odor is detected after five minutes, do not attempt to reignite the pilot. Call for service of the leaking unit. 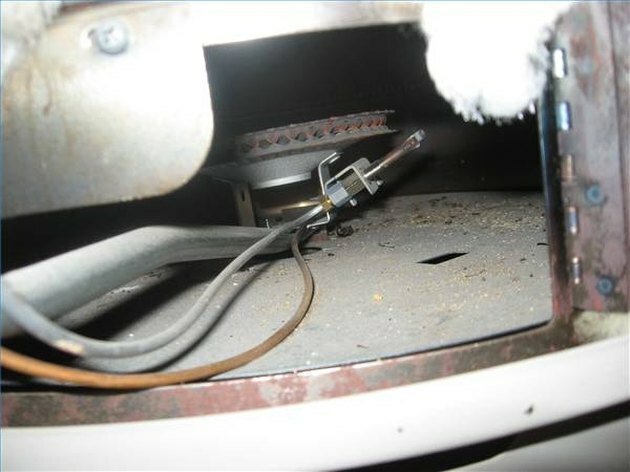 Remove metal flame guard from the bottom of the heater. 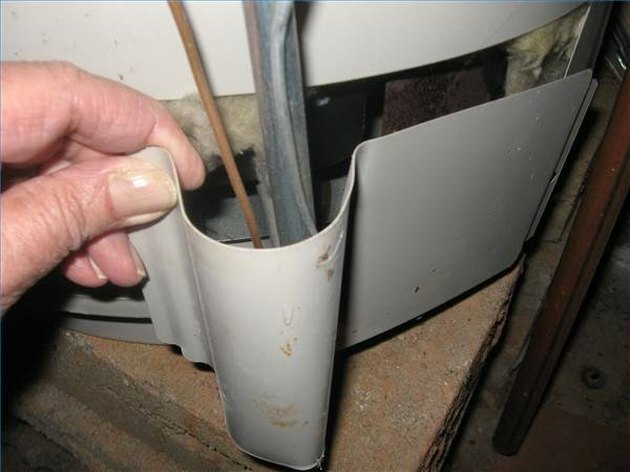 On most modern water heaters these are snapped in place and can be removed by simply unsnapping them. 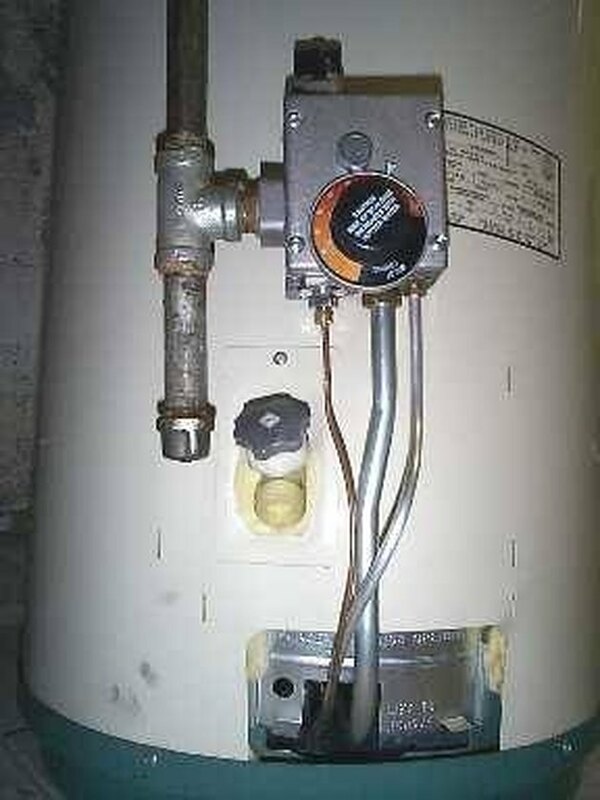 Older water heaters may require the removal of one or two screws to remove the flame guard. Use flashlight to locate the position of the pilot light tube. Light butane fireplace starter pistol (or a long wooden match) and turn the dial to the "pilot" position and push and hold down the button while in this position. 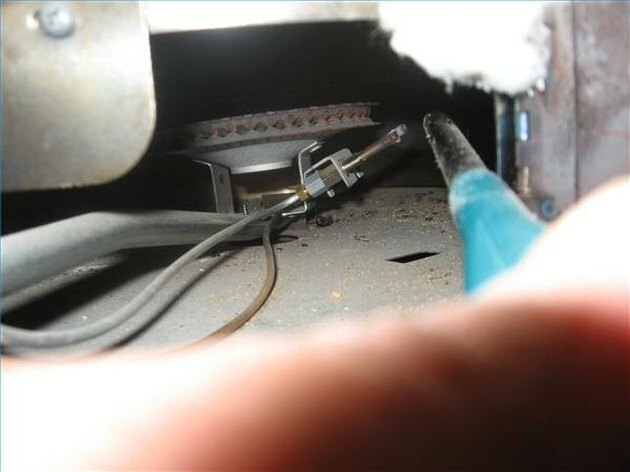 Place the pistol flame just above the pilot light gas inlet tube and hold there until the gas from the flame is lit. Remove the flame while continuing to hold down on the dial in the pilot position. 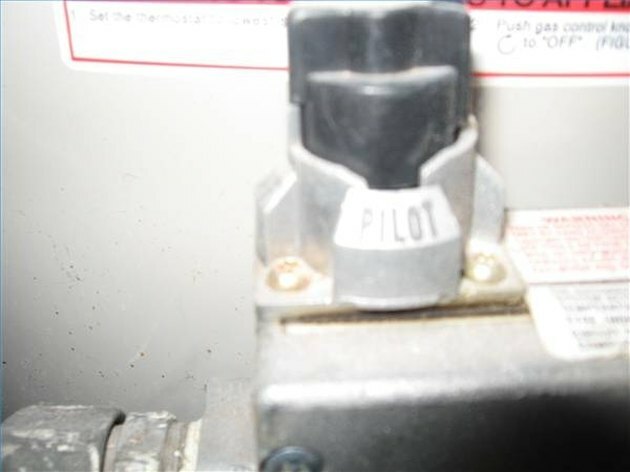 Continue to hold down on the pilot button for about 60 seconds to ensure flame is stable. 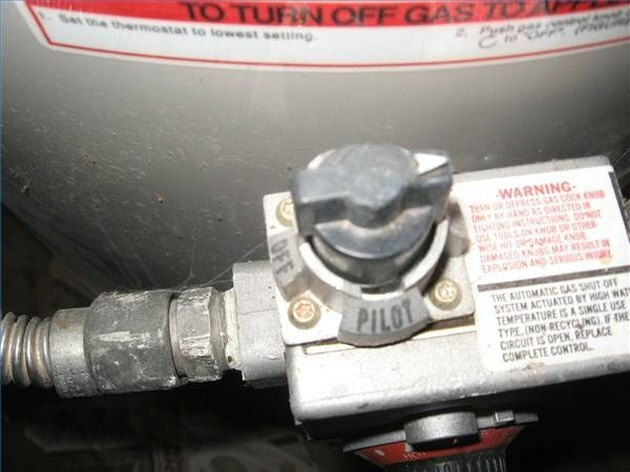 Releasing the pilot button too quickly may cause the pilot flame to go out. Release the pilot button after 60 seconds have passed and turn the dial from the "pilot" position to the "on" position. Set thermostat to desired water heater temperature.